But it has no way of telling service name and layer name ...other than using layer index from resourceName if you want to perform layer specific operation in layers. The article written by Dylan Currier, Low Level Global Keyboard Hook / Sink in C# .NET is one the simple, easily understandable, and and working post on Global Keyboard hook out there in internet. It worked in my WPF application and I added following line in the WPF app to refresh hook after each key press- IDK if it is write or wrong, more likely to be a wrong practice to hook/unhook every time but it gets the job done. The primary reason to refresh hook is to prevent app hanging (not responding to the key press) after few clicks on the WPF button. Following is the video from Dylan Currier on Low Level Keyboard Hook in C# / .NET"
Code snippet to highlight selected feature in ArcMap programmatically using ArcObjects and return the STGeomFromWKB string of selected feature. Code snippet of custom feature(s) selection tool on mouse click and highlight it using ArcObjects and C#. First - Don't write the code to throw "Attempted to read or write protected memory" ..it is bad. Second - If you are working on legacy codes and COM objects that throws "Attempted to read or write protected memory" while writing ArcMap add-ins, catch exceptions to prevent application crash, in my case ArcMap. A code snippet example to check if a feature is standalone ESRI Shape or featureclass inside ESRI Gdb, then add new filed or update attribute value in attribute table .... standalone shape/features are created/updated using GDAL/OGR implementation and feature/featureclass stored in ESRI personal GDB are created/updated using ESRI ArcObjects. Any solution to replace later with GDAL/Ogr is highly appreciated. Please comment below if you find one. 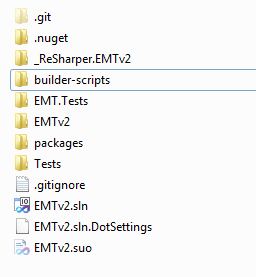 Add new field in existing shape file using OGR in C#. Install WPFFolderBrowser 1.0.2 from nuget gallery to use the Windows Vista / Windows 7 Folder Browser Dialog from your WPF projects, without any additional dependencies. Solution from Dhaval Patel in Sliverlight application works perfectly on my WPF application. I prefer his idea because it is more clear and cleaner than other solutions that I have came with. 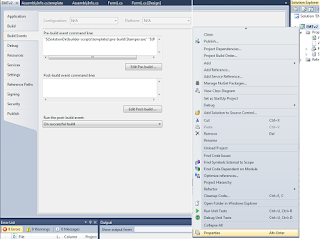 The event handling approach explained as -"This is the way where You can Reach the Selection changed events in Your MVVM Application First Of all i tell you that Command Property only work in Button now we have to Explicitly binding that property in our Selection Changed event like List box or combo box in Your XMAL file"
Following example shows the data binding between radio buttons and ViewModel in WPF. "When you try to databind the password property of a PasswordBox you will recognize that you cannot do data binding on it. The reason for this is, that the password property is not backed by a DependencyProperty. The reason is databinding passwords is not a good design for security reasons and should be avoided. But sometimes this security is not necessary, then it's only cumbersome that you cannot bind to the password property. In this special cases you can take advantage of the following PasswortBoxHelper. The PasswordHelper is attached to the password box by calling the PasswordHelper.Attach property. The attached property PasswordHelper.Password provides a bindable copy of the original password property of the PasswordBox control." 1. 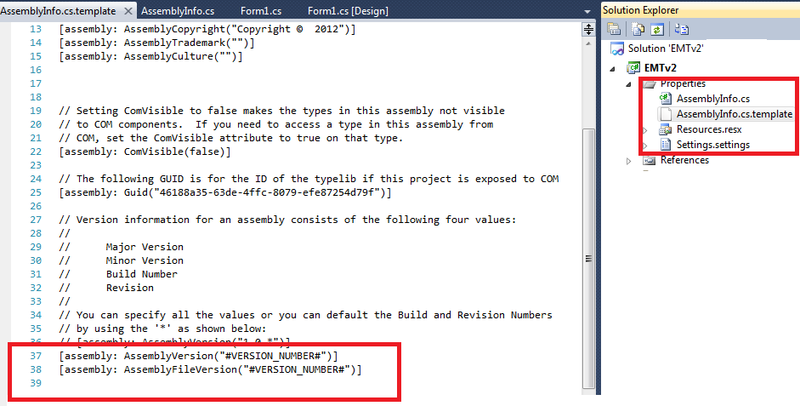 Copy the "AssemblyInfo.cs" from your project solutions and rename into "AssemblyInfo.cs.template"
7:          // Here, we extract every entry, but we could extract conditionally based on entry name, size, date, checkbox status, etc. If you ever worked with relational databases then higher chances are you already worked with sub queries. Some time while working with Nhibernate you get yourself into some situation where you need sub query to do some lifting for you. In NHibernate criteria API you can do the sub query usingDetachedCriteria and Subqueries classes. As the name suggests DetachedCriteria helps you define your sub query criteria while Subqueries class help you create sub query criterion object using detached criteria object. 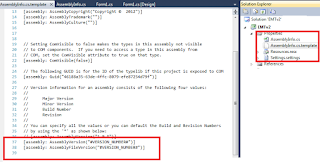 Code snippet to read ESRI File Geo-database (FileGDB) using GDAL and C#. By default it uses GDAL's 'OpenFileGDB' (read only) driver with out any external dependencies. If you are interested in editing GDB feature class you should use 'FileGDB' (read-write) driver, which had dependency on ESRI's FGDB API SDK. The UCLA's internal testing showed that ESRI's FileGDB driver drags the performance than OpenFileGDB for read-only operation. So choose the driver according to your needs. However, both GDAL drivers and ESRI's API do not support the raster dataset inside the GDB till date.